Make displaying your heated foods as straightforward as possible with the Kubus Drop In Hotplate, double heated countertop display with the ability to hold any sized flat bottomed chafing dishes. Operating around the clock, you can change the heat of the heat mats housed within as well as the quartz lamps above by two separate switches house on the operator side of the counter, this not only extends the life of your cooking but the texture and consistency as well. 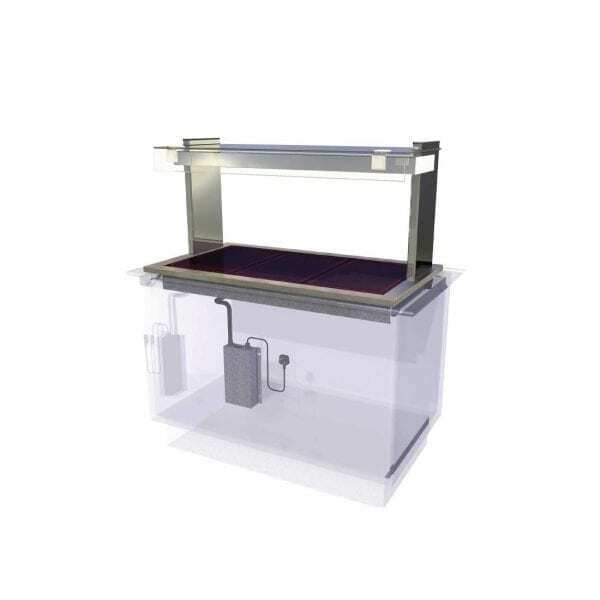 The ceran glass hot plates can be cleaned without difficulty thanks to its flat surface, whilst the toughened sneeze screens and side panels complement the efficient rectangular design of this display model.